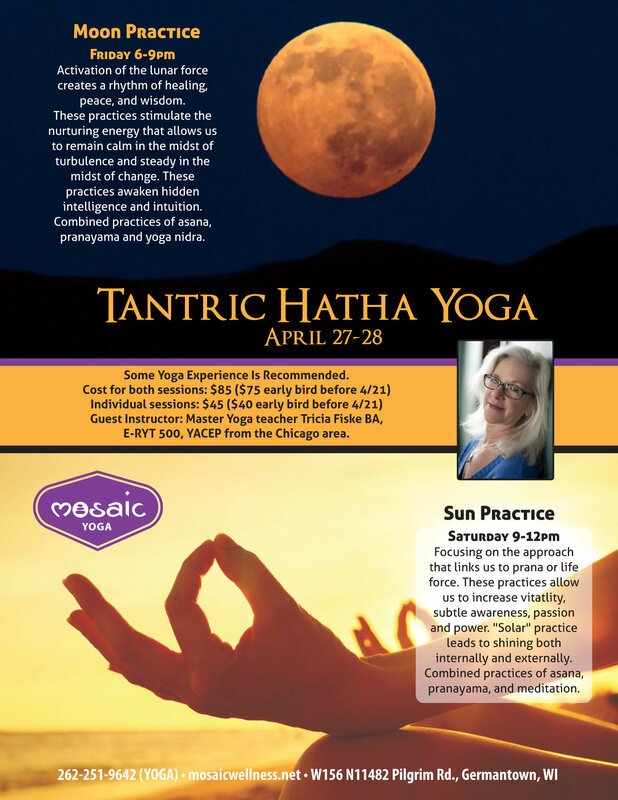 Join Master Parayoga instructor, Tricia Fiske, on April 27-28th as she guides us with the ancient knowledge of Tantra Hatha yoga to unlock the full potential within our practice. Friday night starts with a calming moon practice to still the mind and awaken our inner knowing. Saturday morning our journey continues with a sun practice to increase our pranic energies and overall vitality, power and passion. Come to both sessions or just one!